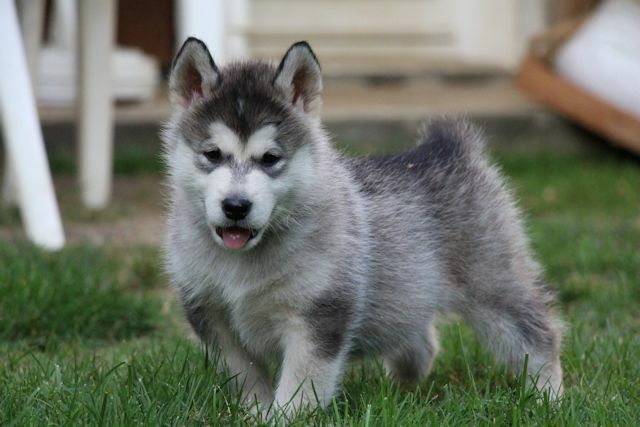 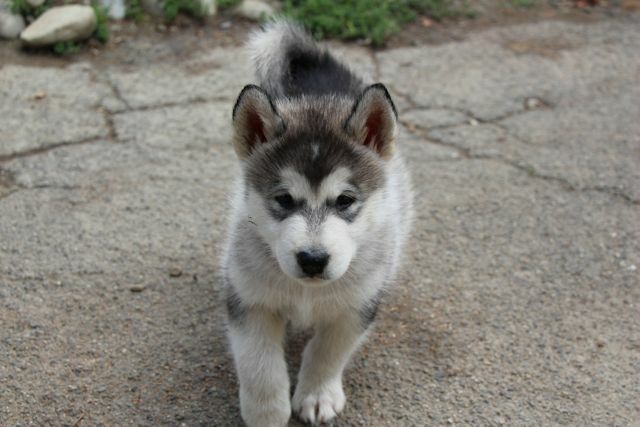 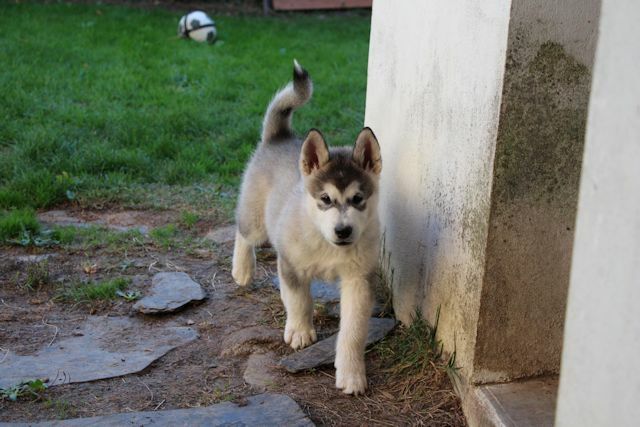 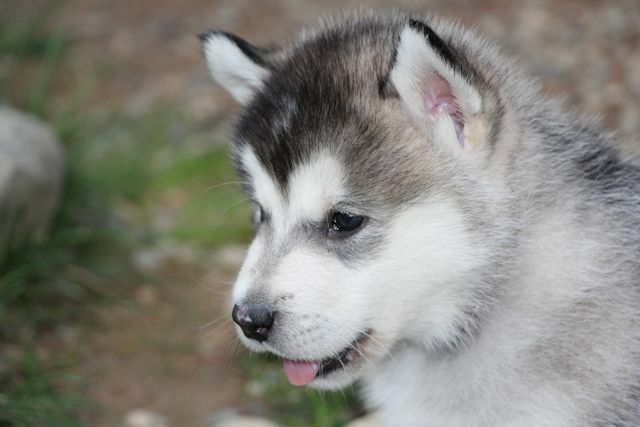 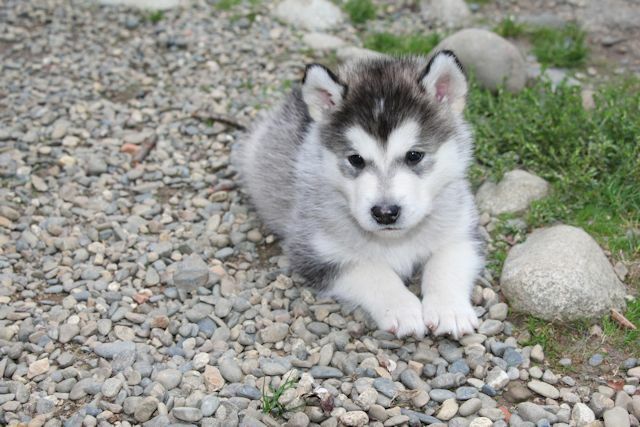 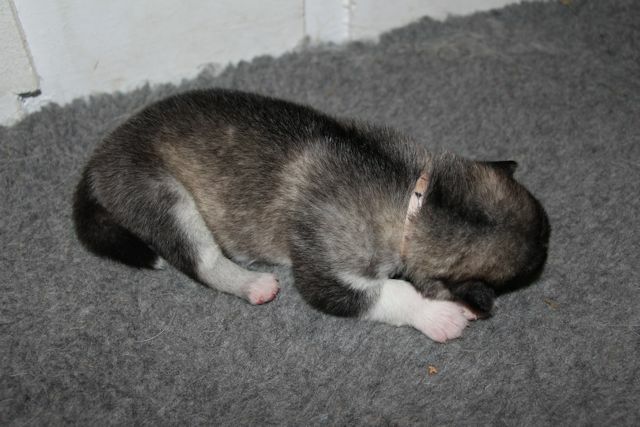 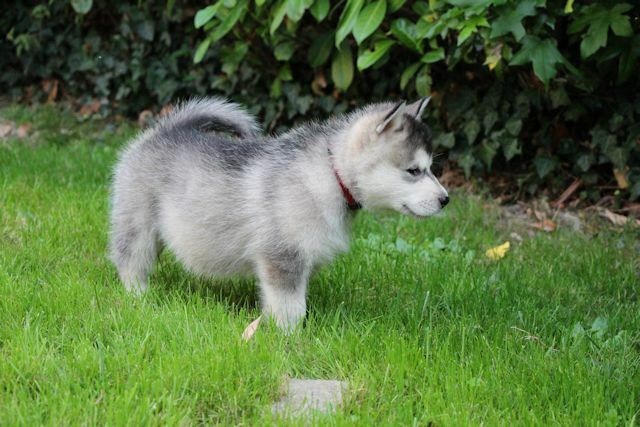 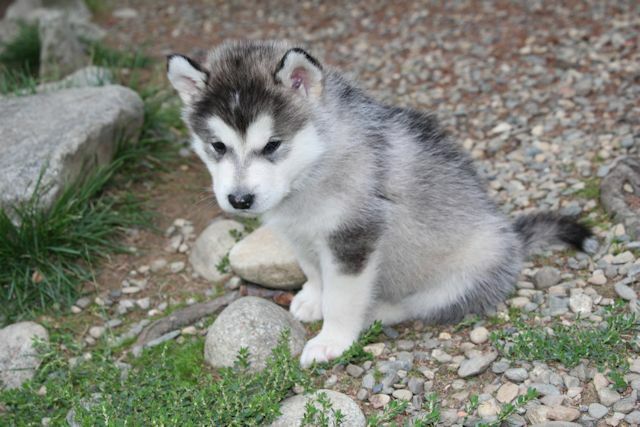 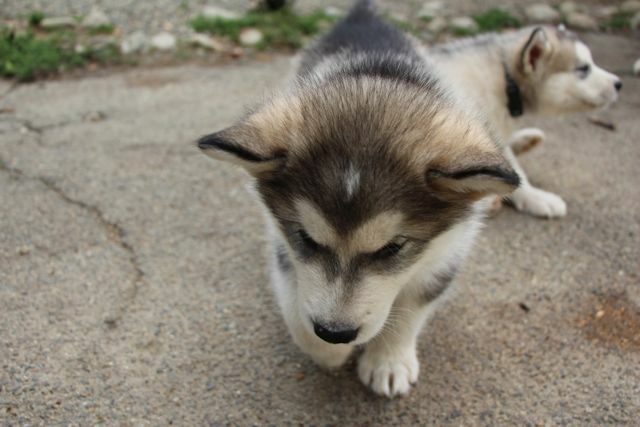 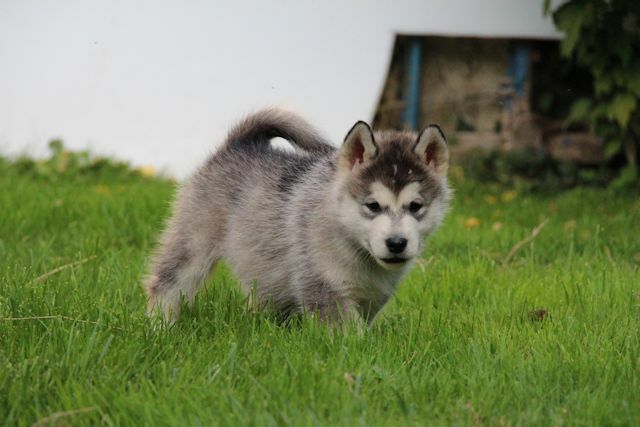 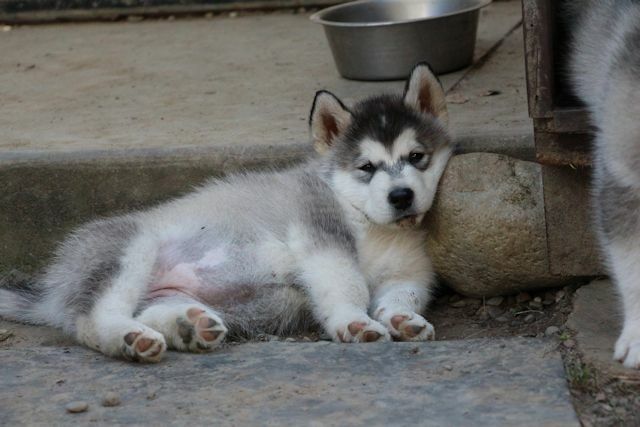 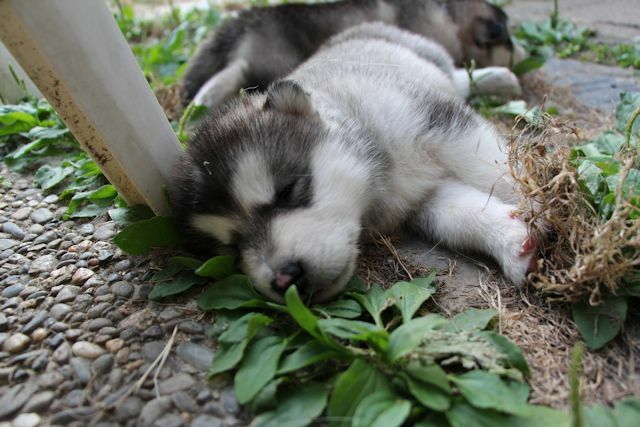 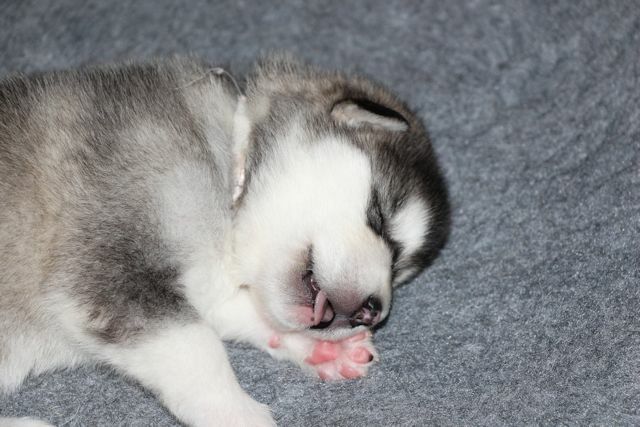 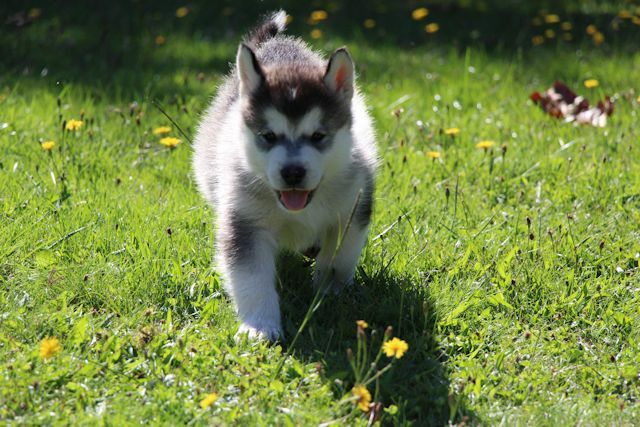 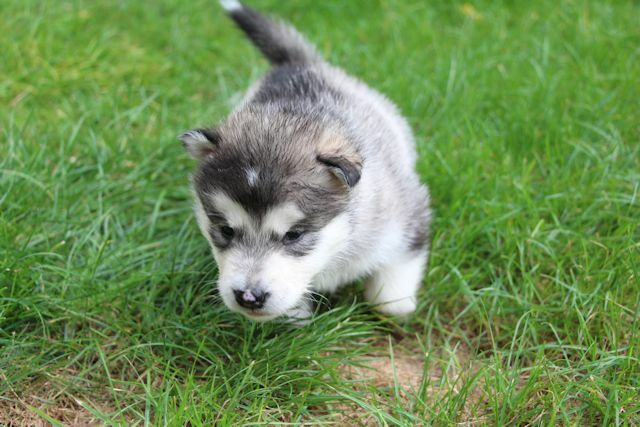 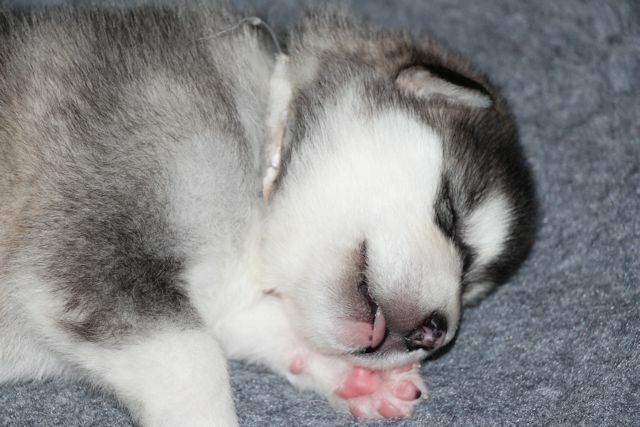 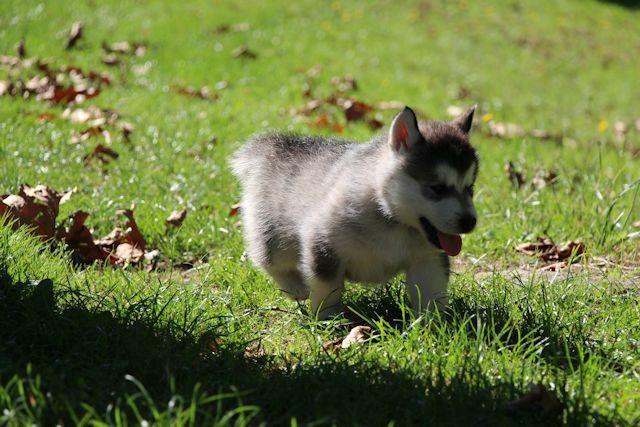 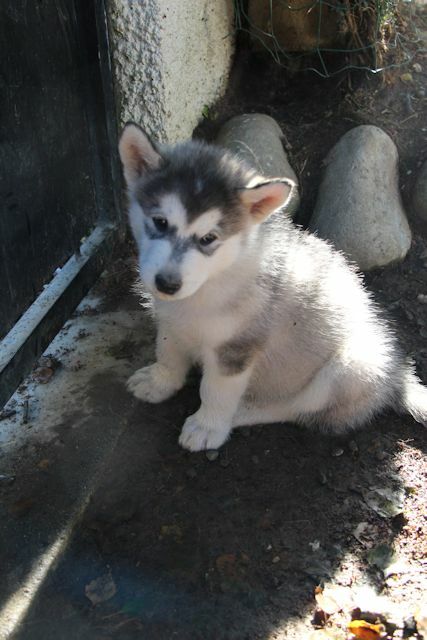 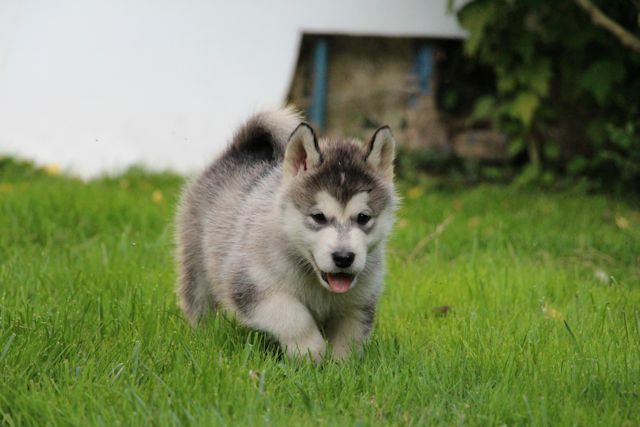 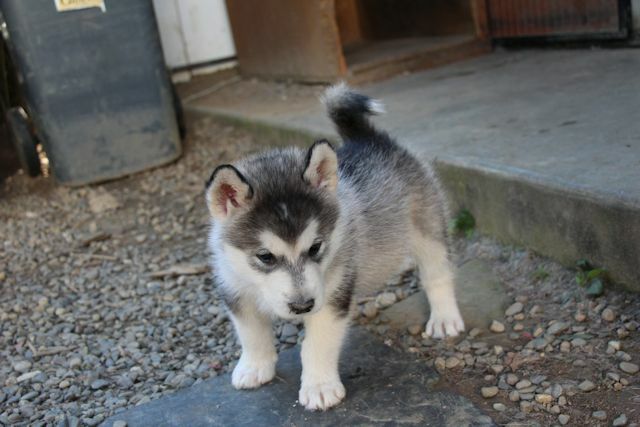 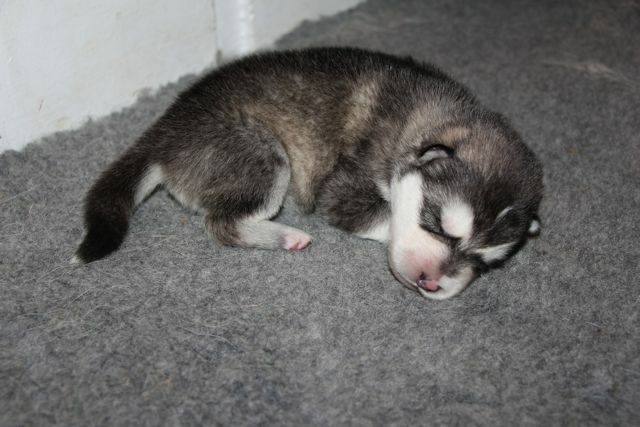 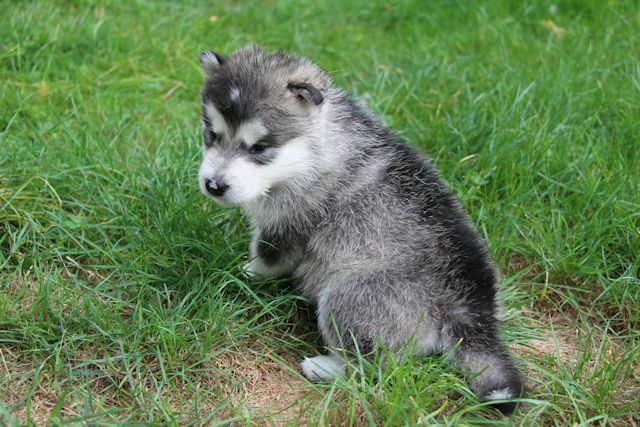 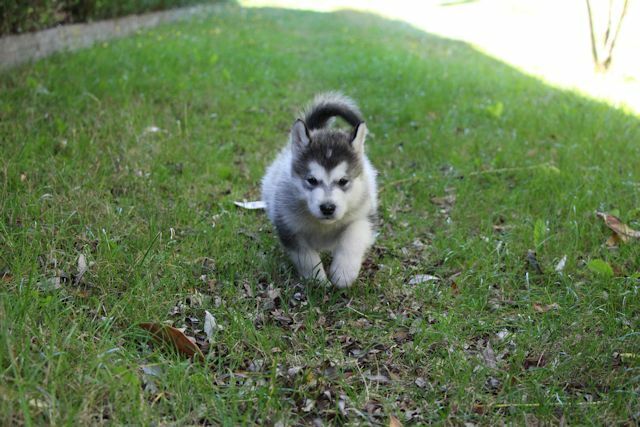 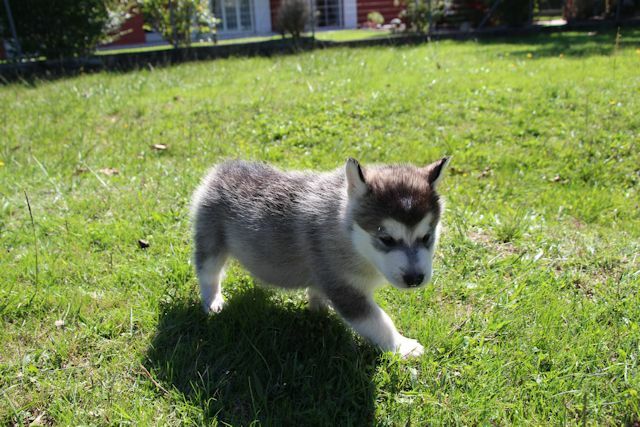 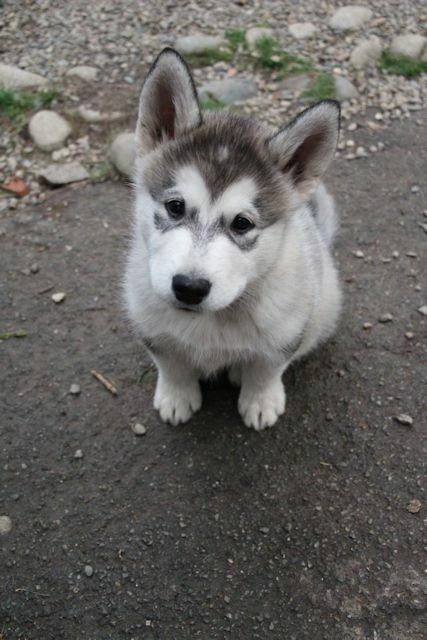 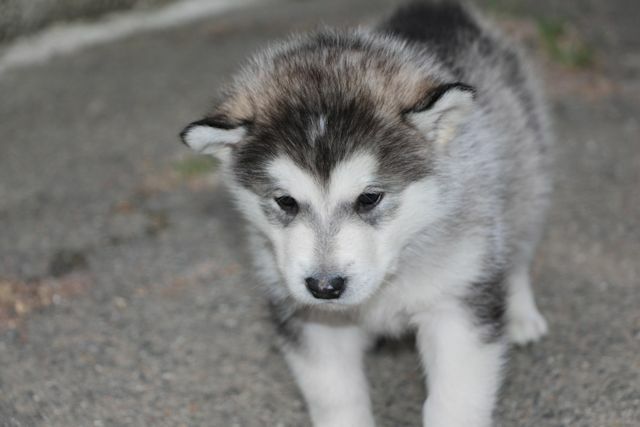 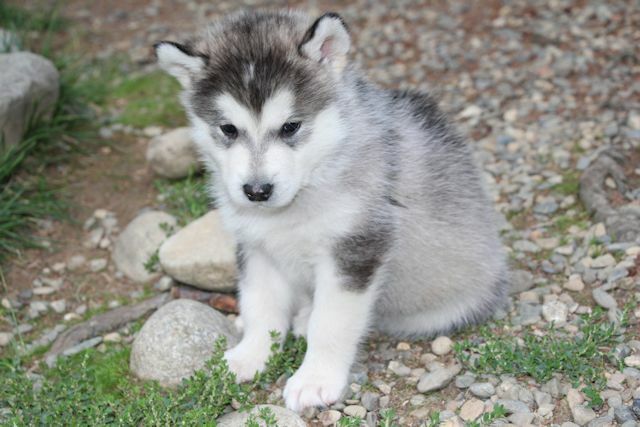 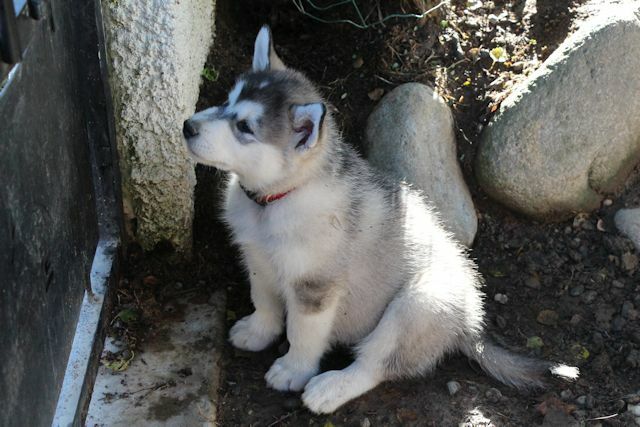 Ilannaq is the second Malamute of our production that we decided to keep. 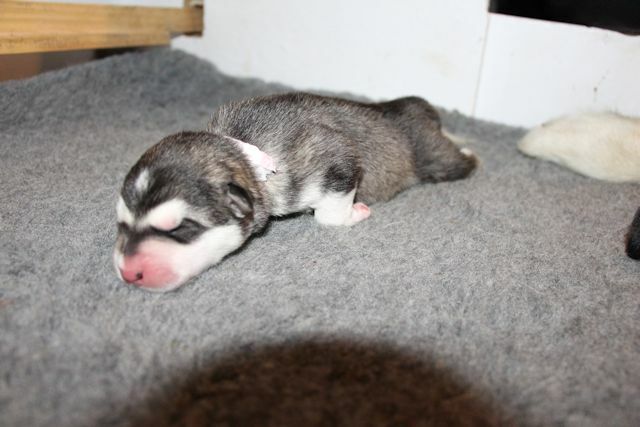 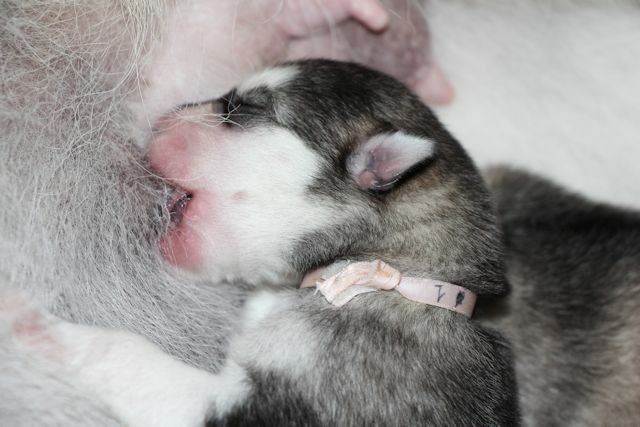 In order to continue our line breeding, we have decided a Coleen's daughter, Coleen being to old to have other puppies. 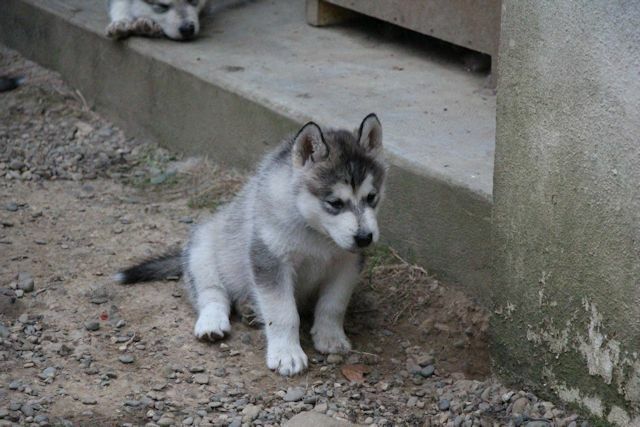 The choice among the 3 females of the 2013 litter was not easy. 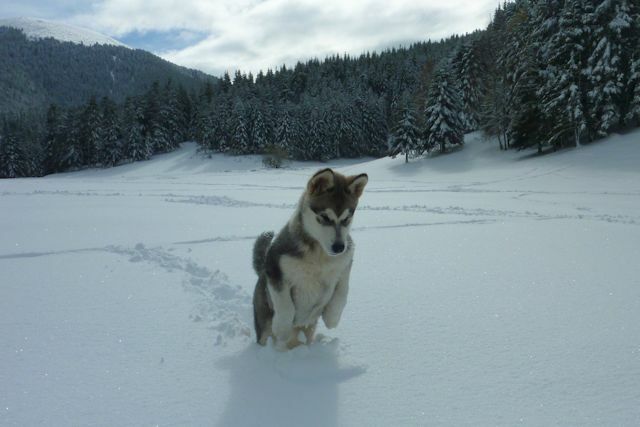 After the loose of Urok who was a gread lead dog, we were searching mainly a female dog who will be able to take the leardship of our team. 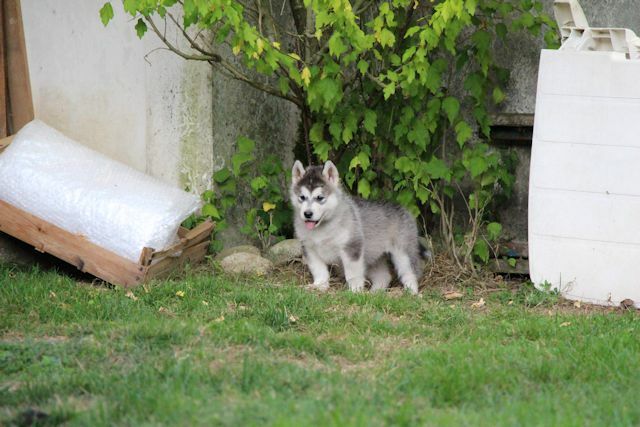 We have selected the female puppy who was the less timid, the most smart, but also the most physicaly correct in order to continue our line breeding. 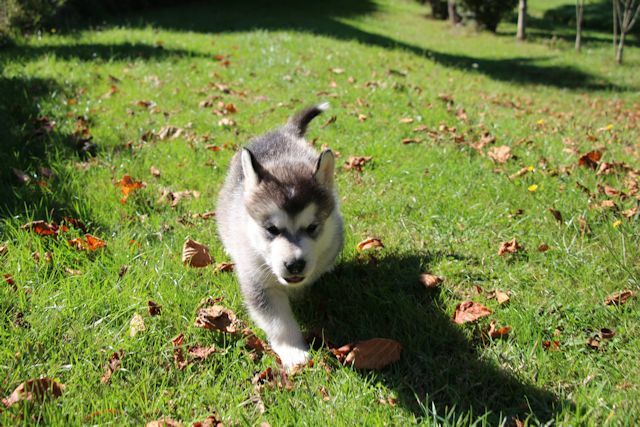 We have made this choice when the puppies were two months old, because our clients have to choose their puppy from the 2 females that we have not kept. 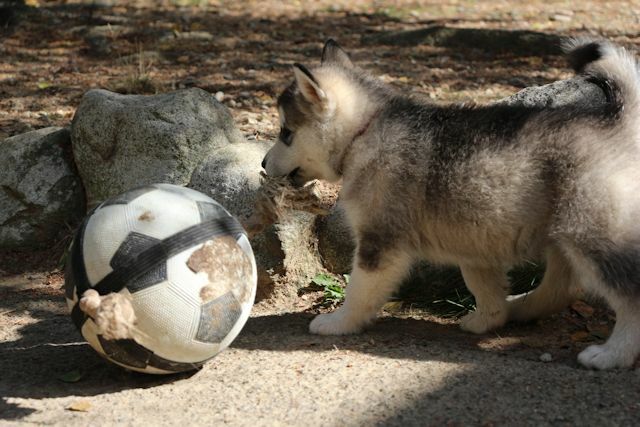 This choice was a difficult mission. 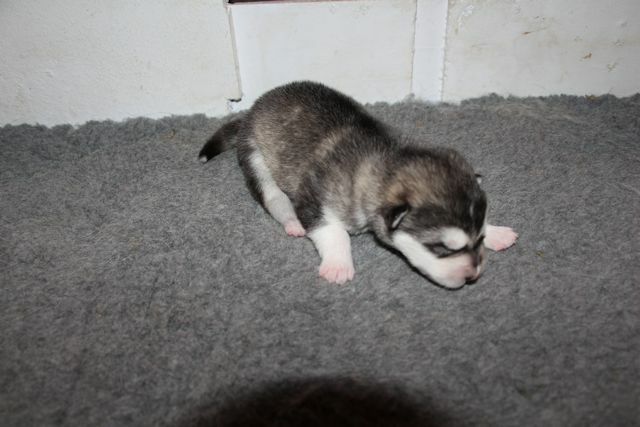 We have kept the first born female from this litter, because she was the female corresponding at the best to what we are searching. 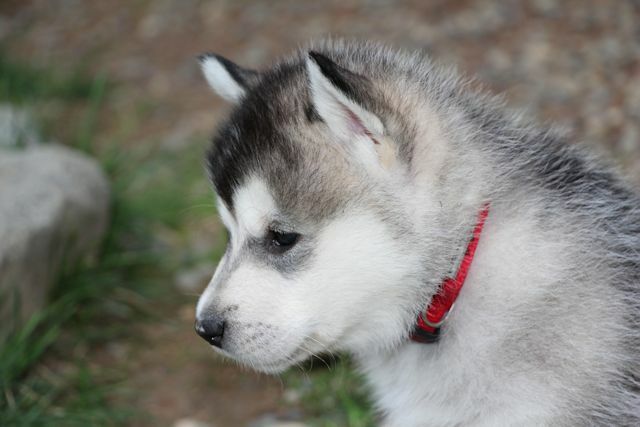 The 2013 year was the "i" year for the dog name. 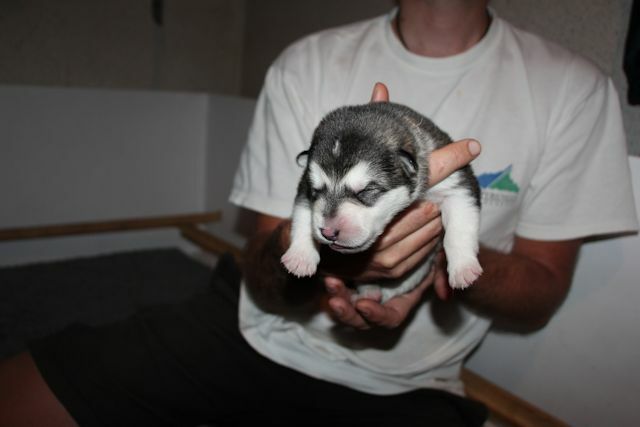 The litter dad is Chukattoq from the "Ilannaq Forever" kennel, it was a good idea to mix the 2 names of our breeding kennel. 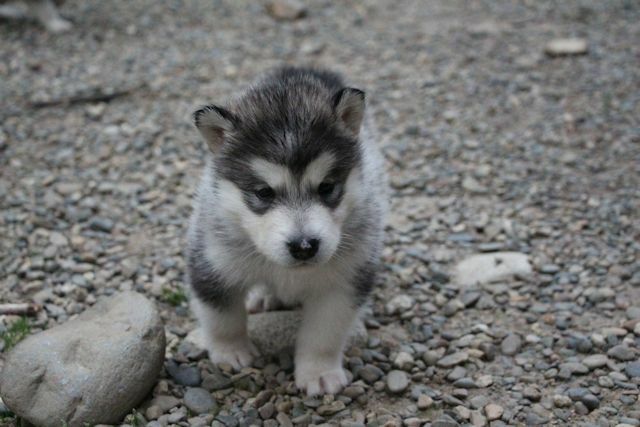 Thus, our future dam will bear the name of "Ilannaq Forever De La Coleen d'Urok". 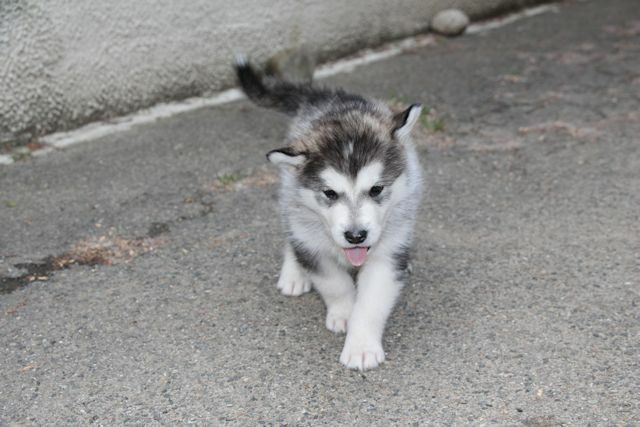 At the time of writing, Ilannaq is 4 months old, and she seems to correspond to our selection criteria, and mainly she has a great interest to lead dog function : she already run in front of the sled. 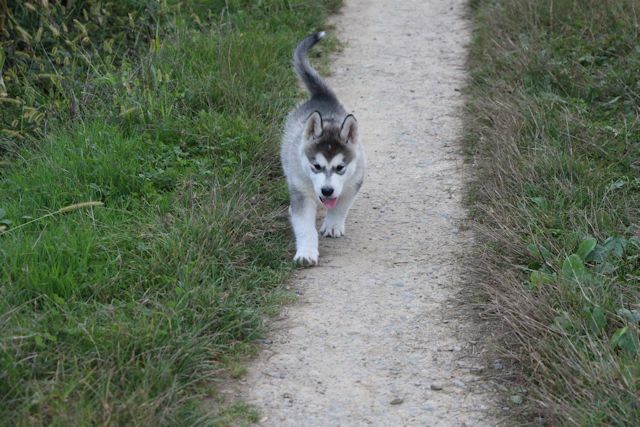 Physicaly, she seems also very good, with solid bones. 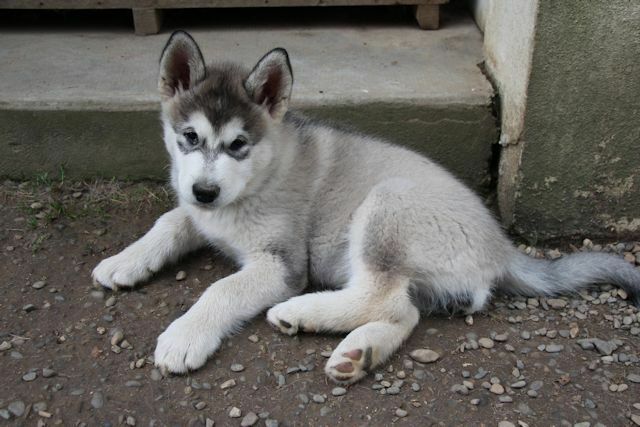 The future will confirm or not these good predispositions. 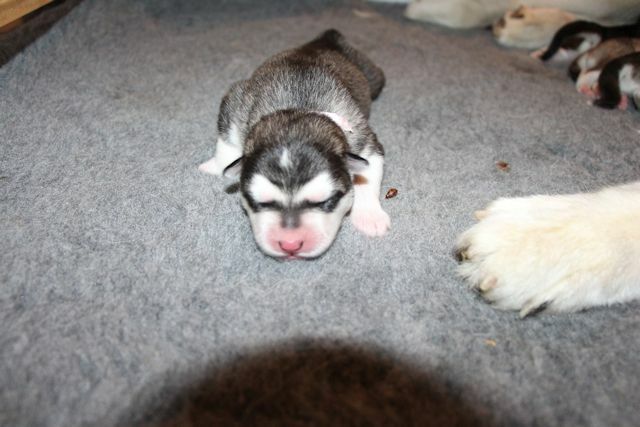 The character of Ilannaq begins to emerge: smart and confident in her. 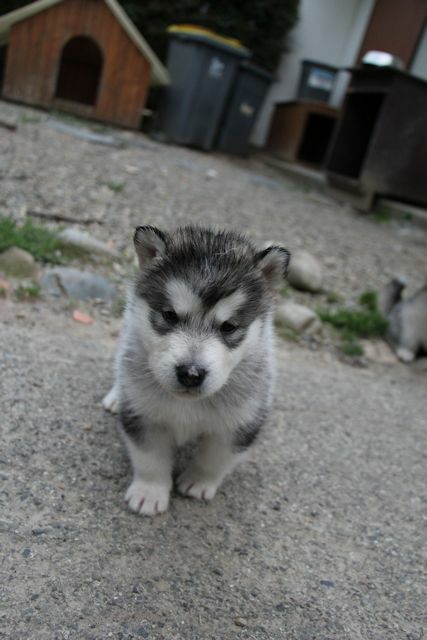 Ilannaq is a product of our kennel, and then we could follow his growth fron his birth. 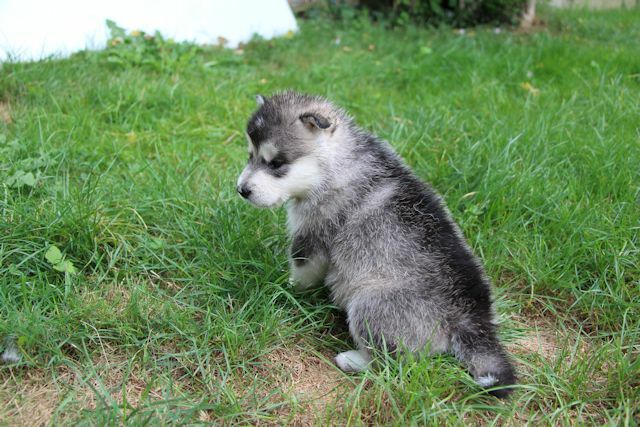 Those table and chart are only for information for other Malamutes because there is a lot of difference of weight and size within the breed. 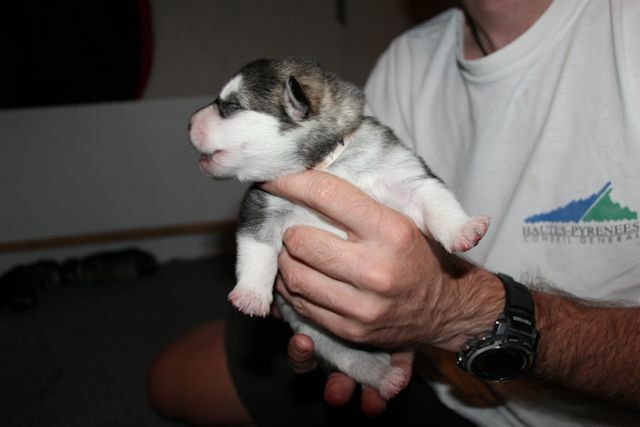 Ilannaq should be a a large size Malamute.